So I went to Chef Kang with eyes wide open, expecting to be chop carrot head. But no, it was the best meal I had this year. Totally worth the money. There are so many things I like about Chef Kang. First, there is privacy. They have 3 tables, each table is set in its own private room. There is a 4th table right at the reception desk so there is no privacy. When you make reservation, try to avoid this 4th table. Reason why there are only 4 tables: there is only one chef, Chef Kang. He cooks all the dishes personally so there is consistency, a second reason I like the restaurant. Another reason I like Chef Kang is because when we were ordering, the waitress said, “You have ordered 5 dishes. I think that’s enough.” Other restaurants will urge customers to order more, but here they inform us about the portions. However, because the restaurant comprises of private rooms, sometimes we couldn’t get the waitresses to come. For example, after serving us a bowl of soup each, the waitress placed the remaining soup on a side table and she left the room. The waitress wasn’t around so we had to stand up and walk to the side table to serve ourselves. It would be best if they can install a bell in the room. The first dish was so terrific it made us cry. Although expensive, the soon hock soup ($98/$168) is fantastic, sweet and full of umami. 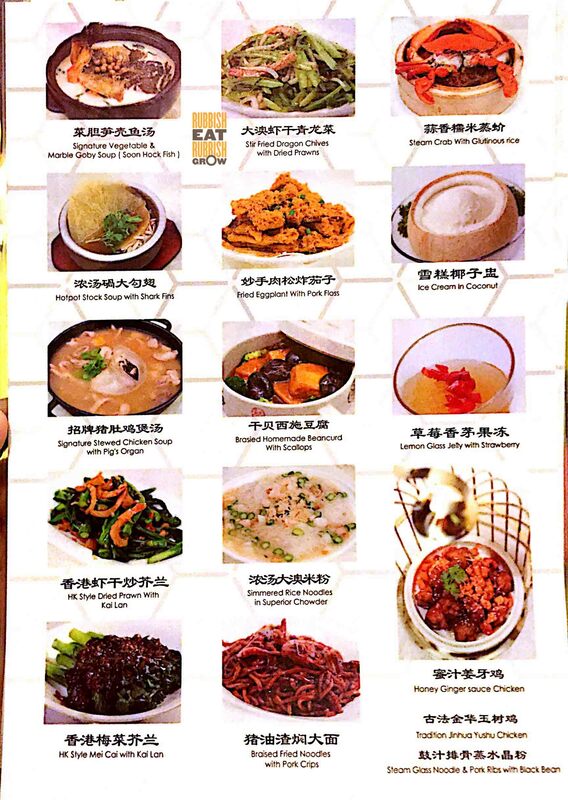 The soup is boiled for almost a whole day, with fish bones, chicken feet, and old hen. There is a special ingredient, Taiwanese olive, that tastes like a cross between sour plum and fermented bean, adding to the depth of the soup. The least impressive dish, one that I would not order again, hot stone pork ribs in Portuguese sauce ($28 Small), is rather strange although it is not bad. The sweet man tou to soak up the creamy and salty Portuguese sauce mitigates and holds together the too complicated sauce of curry, cheese, and butter. The prawn-paste chicken ($24 small) is really expensive at $4/midjoint, but it is probably the best har jeong gai you can find in Singapore. Instead of coating the chicken with flour, Chef Kang slaps flour on it, and as a result, the skin has a miraculous grainy texture. The deep-frying is accomplished superbly, giving it a bitter wok hei, but the meat is extremely tender and moist. Here’s another dish that made me tear: white beehoon ($25 Small) and Sembawang White Beehoon has nothing on this. It’s 深焖, that is, the beehoon is stewed in the broth. The flavors go long and deep. 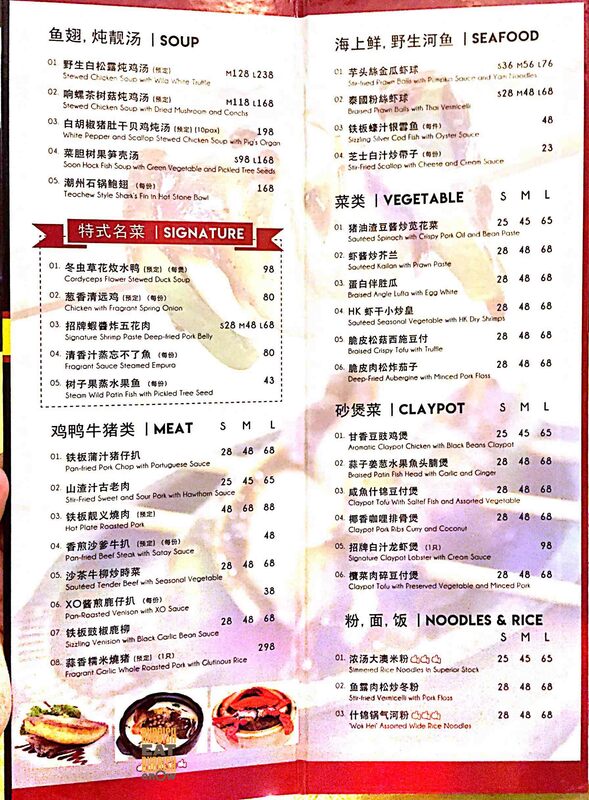 We were informed that braised luffa with egg white ($28 small) is probably the most popular dish at the restaurant: almost every table orders it. It is nice. The luffa is cooked competently: it’s crunchy in the middle and there is no sliminess on the outside. While the nondescript icy coconut ice cream does not do the coconut pudding ($9.80/ serving) any f(l)avor, the pudding itself is full of the essence of coconut. A delightful end to the meal. In truth, I can see why some people would say the dishes are “cze char food at fine-dining prices.” It is true that you can find many of the dishes at cze char stalls. Furthermore, the ingredients aren’t premium. So why is it so expensive? Because you’re paying for the effort and skills of the chef with 40 years of experience. It’s inconceivable how Chef Kang manages to convert simple and cheap ingredients into such delightful ambrosia. The food represents the best of what cze char food can offer. It’s like saying you can buy a handbag at the market or at Prada. Or like you can eat at a sushi buffet for $30 or a sushi restaurant for $300. We paid $262 for four persons, or about $65 for one. We all wished that the meal would never come to an end. 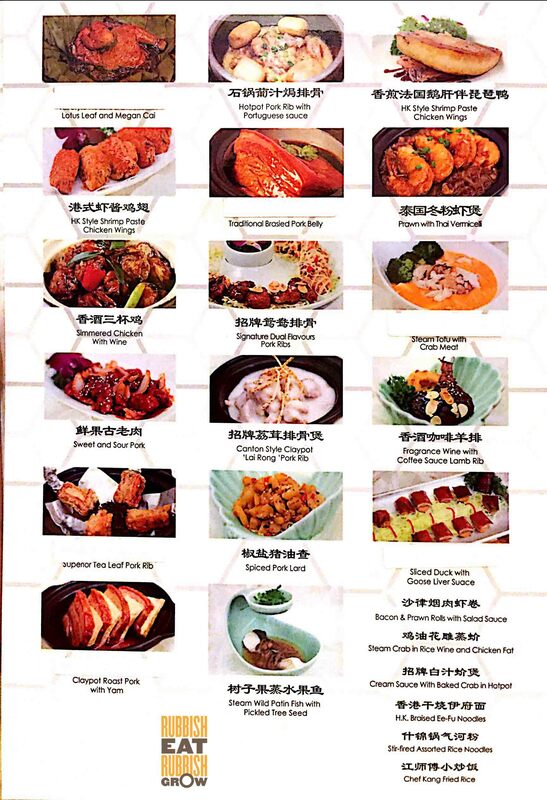 Imperial Treasure Fine Teochew Cuisine, ION Orchard: How Did It Ever Win a Michelin Star?! I understand how you feel. Some friends went and, like you, they thought it’s good cze char food at a very high price, as stated in the review.